When I moved into my new home last October, I decided that I would get my home office professionally designed. I called the ladies of Inhabit Design to put together my office and decided on white furniture. The white desk makes me nervous so I've been scouring Etsy for some cute coasters. I can't seem to make a decision so I've decided that I could do disposable coasters and just toss them once they're ruined or I get tired of them. 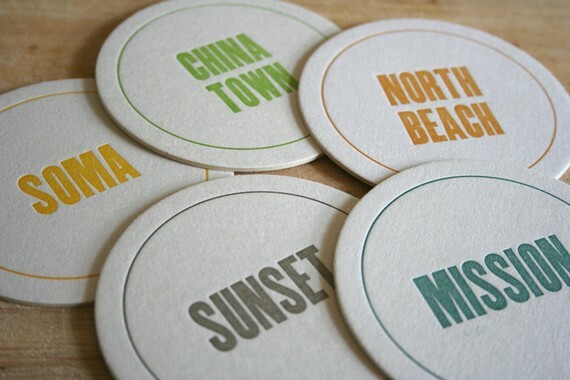 So, letterpress coasters are now my latest obsession. These are some fun coasters I found on Etsy. Now, which should I purchase for my office?